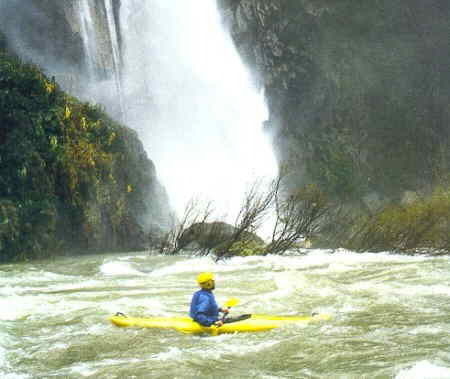 Rio Bobos runs through Mexico’s third most populous state – Veracruz. Treading through the western mountains, the waterway moves through the rugged terrains of the beautiful country. It then proceeds towards the long stretch of the magnificent Costa Esmeralda beach. Rio Bobos drifts along some of the most mysterious and breathtaking locales of the country, which includes Vega de la Pena and El Cuajilote. Interestingly, as the river meanders through the mountainous valleys, it features rapids of varied kinds. In the dry season, the water body comes up with the rapids of Class II and III, offering the rafters with mild waters and soft curls. Best suited for the beginners, this season is also perfect for conducting family trips and school expeditions. As you sway through the serene waves of the Rio Bobos River, you get to witness the speeding currents flowing beneath your raft. Subsequently, from the month of September to December, the rapids transform into torrents of Class IV and V, converting the same tranquil river into a bed of wild waters. At this point, the river becomes ideal for professional rafters who are in search of turbulent waves. In the upper section of the Rio Bobos River, you can have a clear view of the stunning limestone walls and the picturesque canyons. Again, in the lower section, you can witness the mesmerizing banana and orange groves and wonderful bougainvillea dressed in diverse hues of magentas, oranges and rich purples. Now, once you make up your mind to spend some exhilarating moments in your weekend, you can opt for the Rio Bobos River. The fascinating river, with its enormous waves and splendid locales, will surely offer you ample fun and excitement of whitewater rafting!